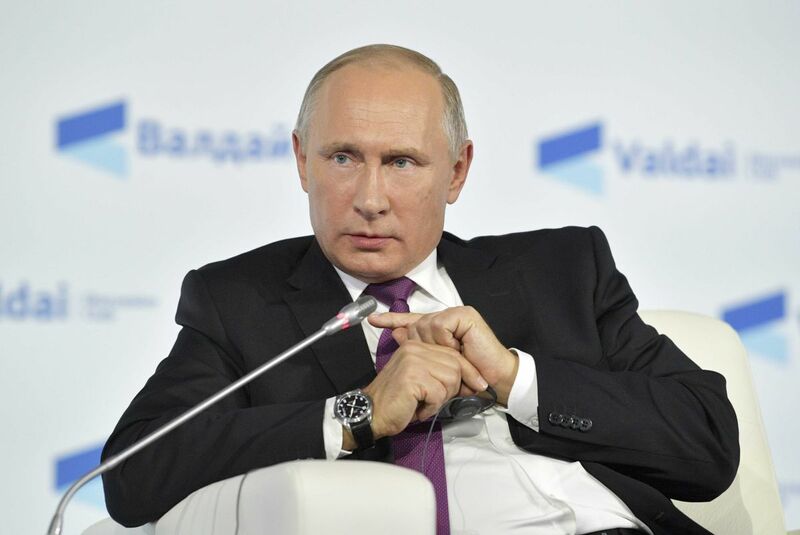 Moscow, Dec 7: Russian President Vladimir Putin announced on Wednesday that he would seek a new term in the presidential election to be held in March 2018. "I will stand as a candidate for the post of President of the Russian Federation," Putin was quoted by RIA Novosti news agency as saying during a meeting with employees of a car-making plant in the city of Nizhny Novgorod. Putin was first elected as President of Russia in 2000 and re-elected in 2004. From 2008 to 2012, he served as Prime Minister. In 2012, he was elected President again. So far, several people have officially declared their intention to join the 2018 presidential race, including Vladimir Zhirinovsky, leader of the Liberal Democratic Party of Russia; Grigory Yavlinsky, founder of the liberal Yabloko party; and Maxim Suraikin, head of the Communists of Russia party. The list also includes TV presenter Ksenia Sobchak, businessman Sergei Polonsky, as well as singer and journalist Ekaterina Gordon. Opposition leader Alexei Navalny also expects to participate, but according to the Russian Central Electoral Commission, he cannot do that because of his previous conviction. Gennady Zyuganov, leader of the Communist Party of the Russian Federation, is also expected to join the race.